Ray nearly disowned me at lunchtime on Thursday. Following lovely cheeseburger goodness at Maccy D's, I patted my mouth down, you know, as you do - and reached into my bag to reapply my lip balm. 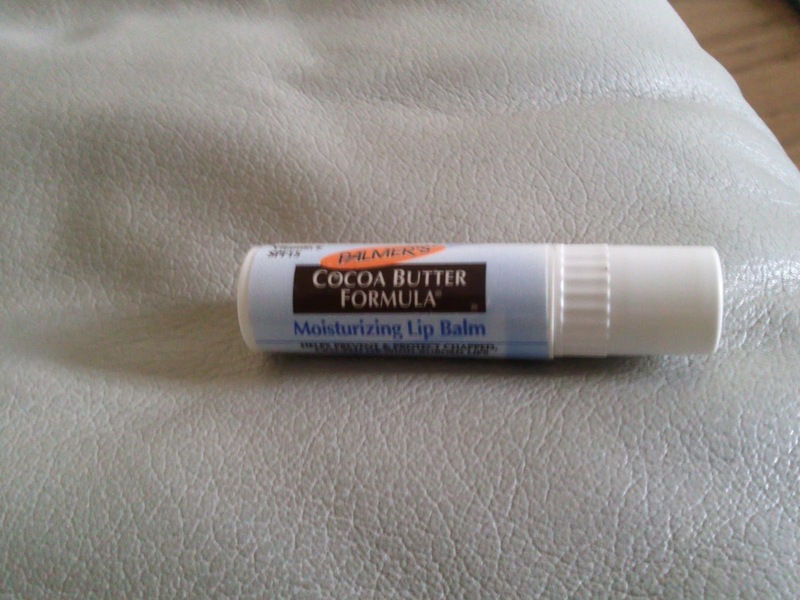 Palmer's cocoa butter formula lip balm. Oh god it's good. It tastes like a hint of chocolate milkshake, softens and protects my lips, and I can't get enough of it. Oh the shame. Pass my scarlet letter then, it's official. I've cheated on the chapstick. I must apologise for an overuse of the ellipsis (the ...) in this post, just realised. Find some new punctuation, JEM. oo I need to try this! This seems like a lovely product. I swear by this lipbalm, the others just don't cut it anymore!